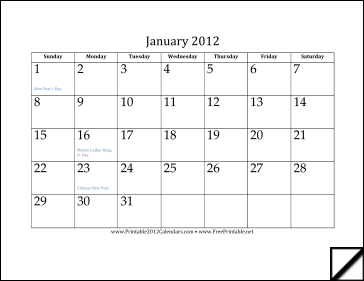 A free printable 2012 calendar with one month on each page. It downloads in one convenient, 12-page file, in either PDF or customizable DOC format. Major holidays are included in blue type. Free to download and print.